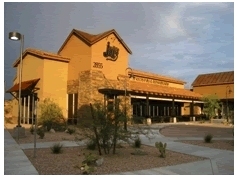 If you are looking for information on the Indigo Joe's Sports Pub & Restaurant franchise business opportunity, Indigo Joe's Sports Pub franchises or Indigo Joe's franchising, then you have come to the right place. 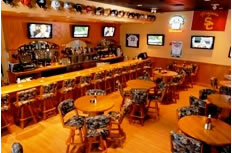 Indigo Joe's Sports Pub & Restaurant is much more than an average sports bar and grill. We have created a unique niche. We are, most importantly, a family oriented restaurant, one that just happens to specialize in sports. Most sports pubs do well during the intense fall sports season, but during the rest of the year business can drop off dramatically. Indigo Joe's has positioned itself as a quality family restaurant first. An excellent, varied menu allows you to compete with other restaurants on an even playing field all year round. Our great salads, wines, steaks and burgers help to create a place far removed from the typical male dominated, smoke-filled environment normally associated with run-of-the-mill sports bar concepts. The enclosed kids' game room makes Indigo Joe's a fun, happy place for all the family. Our immaculate restrooms, well-lighted interior and comfortable seating attract a variety of customers and keep them coming back. But don't think Indigo Joe's doesn't take its sports seriously. Far from it! 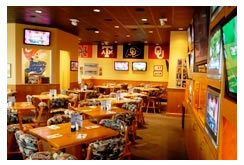 Indigo Joe's is committed to being the very best place for fans to view their favorite sports teams. Team banners are grouped by conference and region, so fans feel comfortable. Our focus on college and professional sports ensures no one is left out when it comes to being in the middle of the action. Many fans enjoy visiting our famous 'coaches wall', with customized, autographed pictures of some of the most prolific sports figures in the public eye. Indigo Joe's is also committed to being technologically ahead of the game, with plasma, high definition and large screen televisions strategically positioned so every fan has the best seat in the house. State-of-the-art, wireless voice boxes bring the sound of the game directly to each table and every guest. Store opening training will be provided by our corporate training team for 10 days prior to your launch date and for seven days after. This training will include a hands-on approach to managing and successfully running an Indigo Joe's restaurant. During this period we will work closely with you and your staff to insure a smooth opening and transition to make your Indigo Joe's a successful operation. 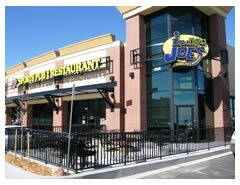 As an Indigo Joe's franchisee, you will benefit from our dedication to helping you become successful. We consider you and your team a vital, individual link in the Indigo Joe's chain of success. It is our attention to each unit that makes Indigo Joe's strong. Our corporate support team not only instructs you during the introductory training program, but also provides ongoing knowledge and support long after your store is up and running. From our detailed operations manual to our veteran field service representatives, we will continue to provide advice and counsel to you in all areas of operation. And, of course, help is always only a phone call away. If you are an entrepreneurial individual with a burning desire to own and operate your own sports pub and restaurant franchise, and you have a strong work ethic, proper capitalization and a commitment to customer service and following a proven system, we would like to hear from you!